We've started our morning at the Connect 2018 conference. Looking forward to all the new things we can bring back and share with our students. 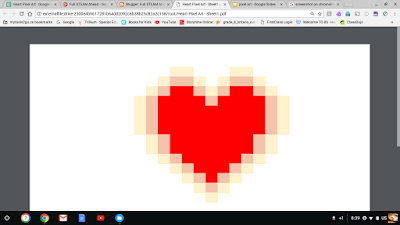 First stop was creating fun pixel art using google sheets. What a fun way to start the morning! This is a pretty simple and easy way to engage your students to create something interesting. Also there are many cross curricular connections to make particularly in Numeracy. Can't wait to try this with my little ones!